There are very few romantic movies which deal only in love and still don’t get boring. 5 Centimetres Per Second (Byôsoku 5 Senchimêtoru) from Japan belongs to that rare class. I was sceptical before starting to watch the animation but soon got interested. The film is literally picturesque and so are the voices. 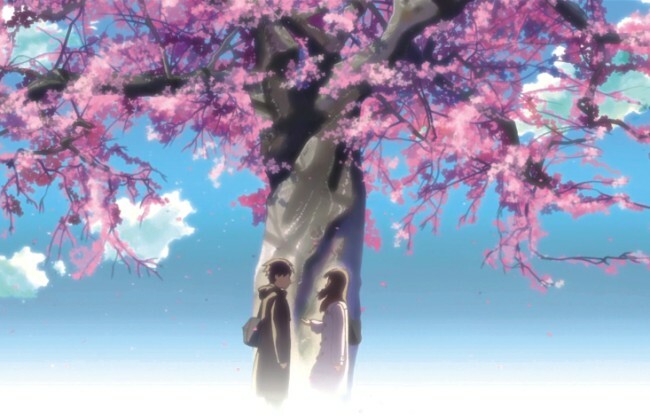 The are only 3 main characters and the film spans across several years using 3 connected short stories: Cherry Blossom, Cosmonaut and 5 Centimetres Per Second. Fully understanding the movie is a problem if you don’t understand Japanese. The dialogues are very meaningful and the significance is almost impossible to decipher from subtitles in a different language. The plot section in Wikipedia would help if you are not quite clear of the ending, which is beautiful. My rating would be 8.5/10. It’s one of those rare romantic movies you can watch in all ages. I agree with you. The story is deep, so it’s difficult to understand if you have no idea of the plot. Great soundtrack and even better illustration.